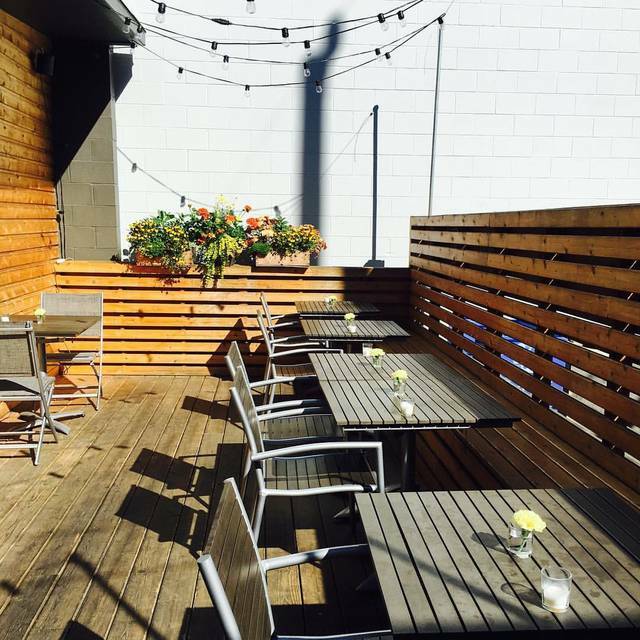 Paid lot within one block, off of Phinney Ave.
Pomerol is a locally owned Fremont neighborhood restaurant serving the best northwest ingredients in a French preparation with a wood fired grill and sunny patio. The restaurant is named Pomerol, not for the famous wines, but for the unique, private, family owned properties that are still operated as they were 100 years ago. The town is tiny, the restaurants are excellent and the craftsmanship of the local people is amazing. We hope to bring that same feel with food, wine, and craft cocktails. 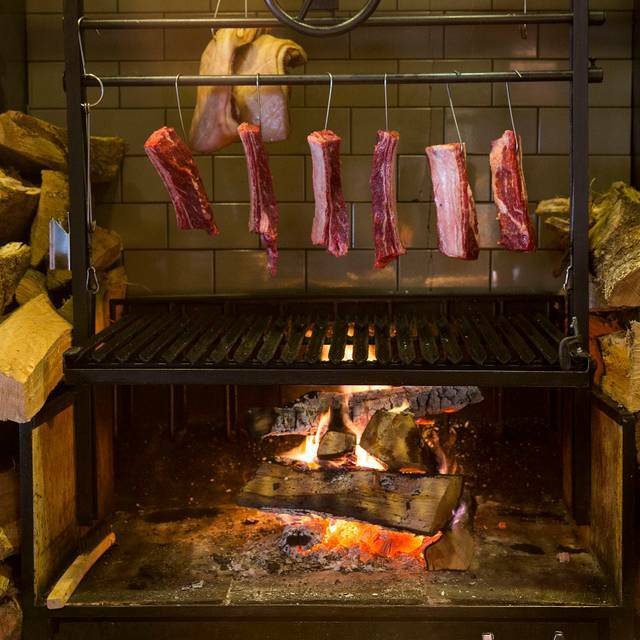 A place that you can walk in and have some of the best meats cooked over a grill or fresh produce prepared in a simple beautiful presentation. This was the most disappointing experience I have had at any Seattle restaurant in the last 5 or so years. The Oyster course was full of shell pieces, the Foie Gras was oily (not awesome for a French restaurant), and the lamb was as fatty as I have ever seen a piece of meat (around 15% was actually edible). It seemed that nobody was in charge that night, with the owners out of town. We asked specifically to speak to the Chef so we could talk through our issues, who reluctantly appeared to apologize for the numerous mistakes. That was fine, but it wasn’t an impressive response given the countless issues with food preparation and cooking. 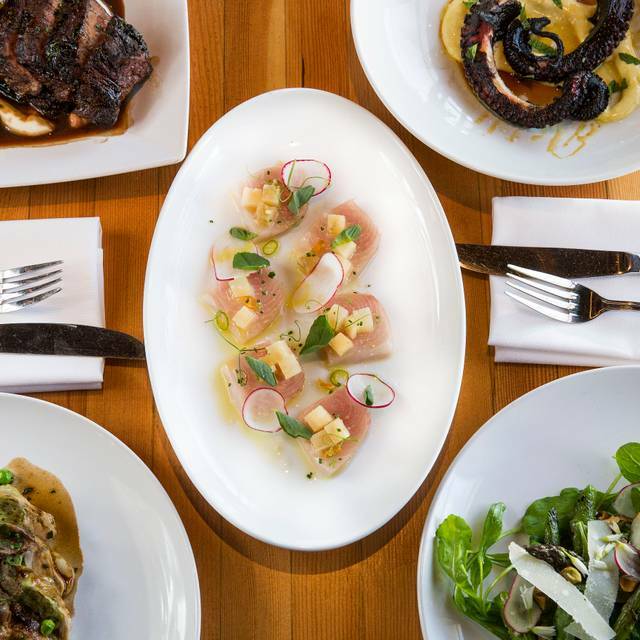 The only plus was that the food was taken off the bill, only charging for the drinks – but that is too little too late when you planned an evening at (allegedly) one of Fremont’s better restaurants. I’d love a response from someone who cares about our experience and how they can improve on the issues. Waitstaff was attentive, provided great service. My entree wasn’t what I expected. My friend enjoyed hers. We went for Restaurant Week. Not in our normal neighborhood so may not return but enjoyed the evening and walking around to other establishments for drinks. Great dinner - our first time there but it won't be the last! What a delightful surprise! Seattle Restaurant week and enjoyed the three course meal. Service was superb and the food was perfectly seasoned and tastefully presented. Would visit again! Thank you for a great evening! Went there during restaurant week. There were 3 of us. 2 chose from restaurant week menu. I had the asparagus and duck confit... it was delicious. We shared grilled octopus and foi gras. The food was of exceptional quality. The service was excellent. 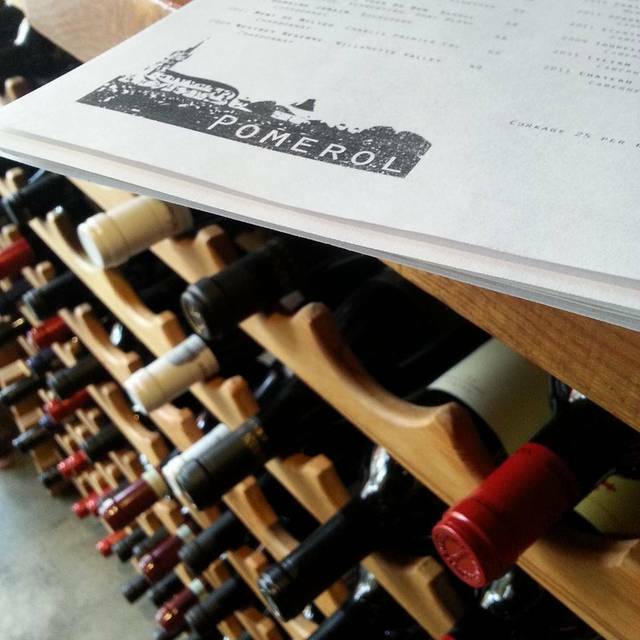 I sought out Pomerol for Seattle Restaurant Week. What a disappointment!! The duck confit was dry, overcooked and tasteless. I was really disappointed. The restaurant seemed usually noisy. There many more delightful options. Pomerol was just a fabulous dinner. 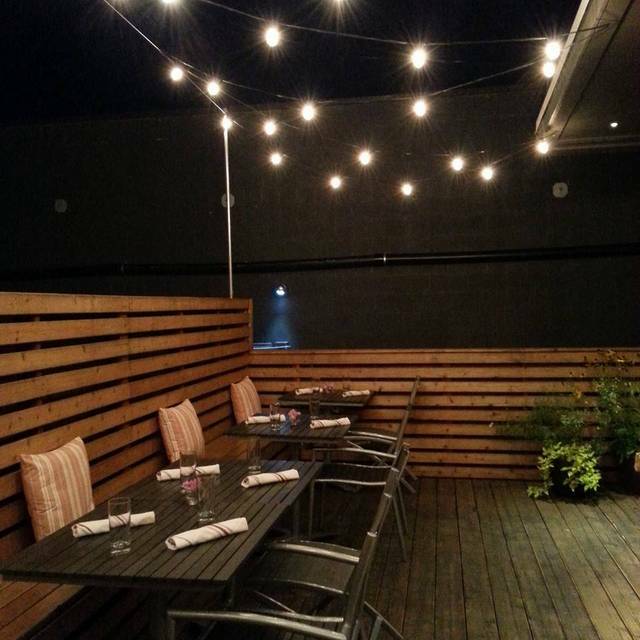 The food tasted excellent, the service was stellar, and the atmosphere was great! It was a great date night! Tried the place during restaurant week. Hard to find a parking space but we found one. Manager (?) let us in before 5:00 because they had a happy hour. Went during SRW but otherwise I'm not sure I would've found it. Chose the chicken wings for first course. I think there were 4 of them with a nice Thai sauce but I got full on it before the main entree came. Had the wood-fired pork and was surprised how large it was and only ate 2 slices. Took home the rest. For dessert, had the flourless chocolate cake... a bit disappointed with it. Wasn't very sweet or moist -- meh. Overall, I liked the place but I'm not sure if I'd hurry back because of the parking situation. Food was fantastic. Service exceptional and well paced. Music ok, but perhaps a general blend and a bit lower sound level would suit the varied clientele best. We will be back! Perfectly presented springtime! Fava beans and fiddlehead ferns dressed two of their delightful choices. My salmon (in a lovely take on bouillabaisse) was PERfect. Treat yourself and go. The food is lovely, the wait staff outstanding. The overall experience is always pleasurable. 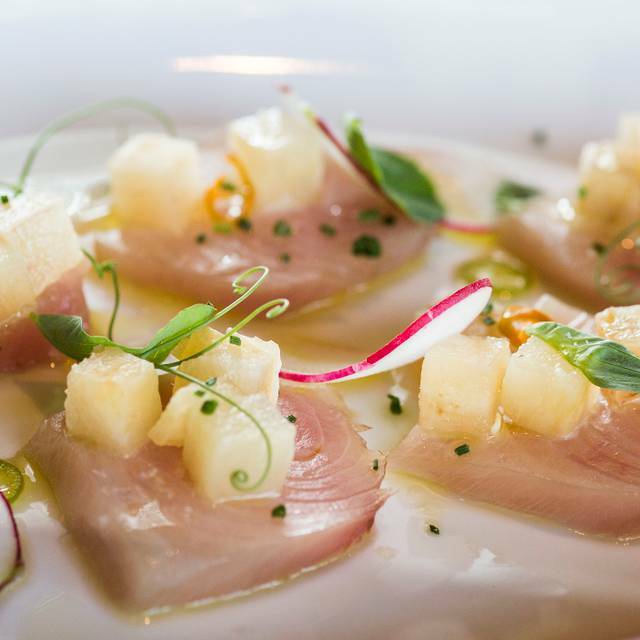 Pomerol is a friendly, neighborhood restaurant with fun cocktails. Though limited menu, there is always something for everyone. Wonderful food in a nice neighborhood setting! Great value too! 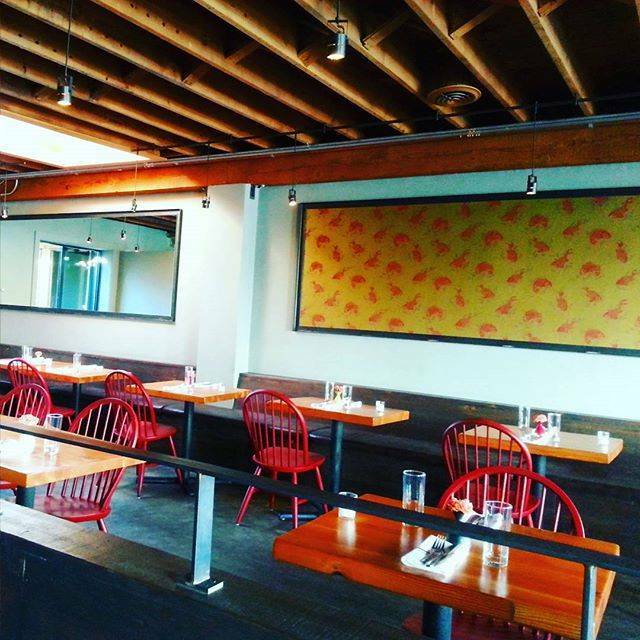 Pomerol is one of our favorite restaurants in Seattle. The rack of lamb, steak frites, and steelhead were all exceptional. Thanks for another wonderful evening. Everything I have eaten there has been delicious. Those I take there agree. Dish was different than described on the menu; flavor wasn't good. New server who took care of us was great. It was my birthday and she every much made me feel at home. Thank you, it was a great time! Please learn how to make a Sazerac if you are going to list it as a featured cocktail. Food was really tasty, but very expensive. Without alcohol we ended up paying over $250 on Valentines day. Even though they brought out entree out before our appetizer, the food was delicious. We will definitely be back. We were two of VERY few guests this evening. The food was fantastic. Portions were moderate but not lean. The place never disappoints. We almost always make this the go-to date place our special occasions. Not a good experience. First round of bread was stale, second was cold inside and hot outside, so clearly frozen. Squash soup very thin and bland. Steak frites - steak somehow tasted acrid and was over cooked, fries lukewarm and soggy with oil. Brussel sprouts inedible - wilted and tasteless. Octopus chewy and acrid like the steak. Wine tasted like the bottle had been open for days. Entrees served right after the soup because they were fired at the wrong time. Overall, a poor experience all the way around - not recommended. Pomerol has a pesant relaxed atmosphere. Our wait person was outstanding. The menu was diverse and interesting. The food was uneven. The cassoulet was more like bean soup, the chicken was ok but not served hot. The salads were excellent. I would not rush back here. For the price the New Year’s Eve set menu was underwhelming. The beef was perfectly cooked and tasted good but the lamb was bland. Would like to have tried the normal menu. Service was good. Warm, friendly service and good food. Pleasant bar. 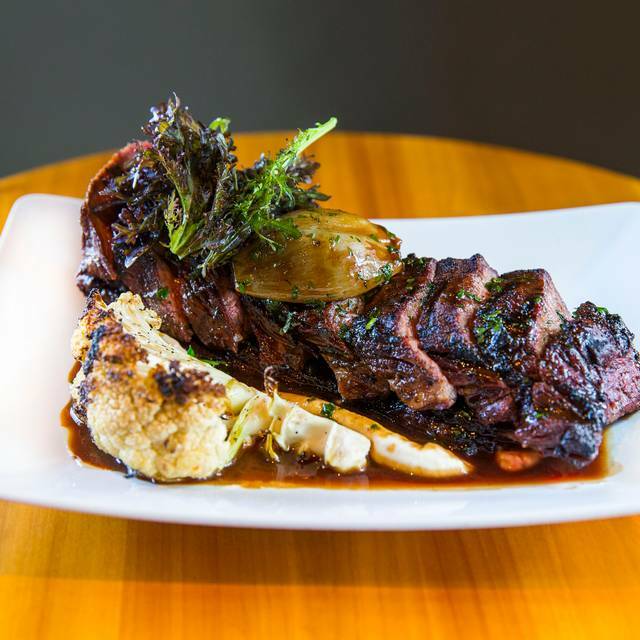 Average food and good value; there are better French restaurants in the Seattle area. 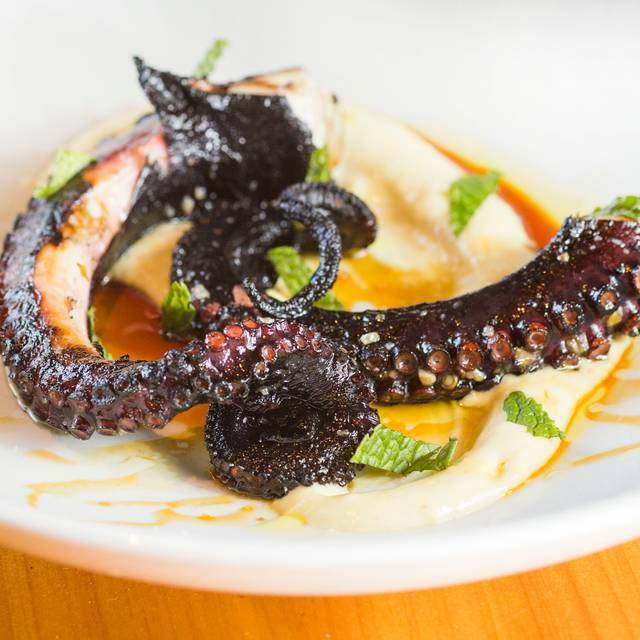 Try the octopus! Wonderful French bistro with a little more room between tables. We very much enjoyed the grilled octopus starter with a lemon cream. The endive salad was also excellent. I enjoyed the cassoulet which was full of sausage, duck confit and chunks of pork belly. My companions enjoyed the steak, properly cooked very rare. Dessert was molten chocolate cake which disappeared quickly. My only complaint is the service. The server was very young and inexperienced and not right for a restaurant of that caliber. She was friendly, but really fell down on all of the things you would expect-checking back on food, removing plates and mostly explaining the cuisine instead of dropping it on the table and running off. The food was so good as always and I defenetly recommend this resturant for special occasions. The restaurant week menu itself was interesting but the food was not as flavorful as we hoped it would be. The service was great but the seating was a bit uncomfortable and the noise level high. The food was exquisitely prepared. Staff was attentive and even though there were many diners that particular evening, we felt like we received special treatment. The location was perfect and the decor was pleasing to the eye. Absolutely terrible. The host or owner and also acting bartender was extremely rude. Careless, arrogant and so rude. I'm still shocked at this terrible experience. He even asked us to leave because he said we had stayed 2hrs and they had only budgeted for 1.5. This was after the fact that soooo many things went wrong with our waiter, food and drinks throughout the night. It was first and only time. Never ever going back and wasting time and money to be mistreated. We stopped here before a show at West of Lenin and were pleasantly surprised that such an unassuming local restaurant could be so wonderful. We appreciated our knowledgeable server and delicious food and it was such a pleasure to be in a restaurant that wasn't overly crowded or noisy.